It was yet another glorious heat as the second episode of Sky Arts Landscape Artist of the Year travlled to Trelissick Gardens in Truro, Cornwall. The beautiful National Trust site was depicted by another round of hopeful painters, and artist Emma Copley was crowned the winner. Born in Dublin, Emma lived on the east coast of the United States for 20 years and currently lives and works in Cambridge, England. 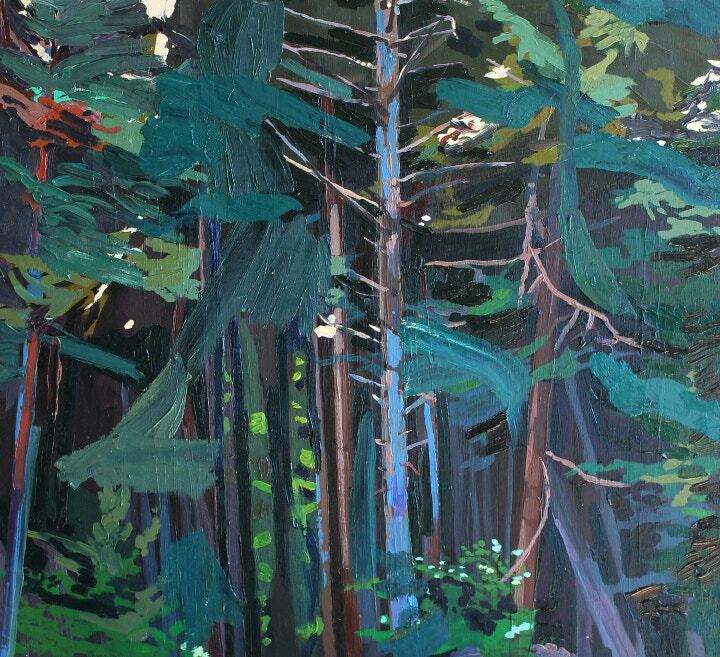 Emma has been developing her painting practice since graduating from Rhode Island School of Design in 2001. Her work depicts places and people from everyday life, exploring colour and form with thick, gestural layers of paint. She is now one step closer the final of of Sky Arts Landscape Artist of the Year. 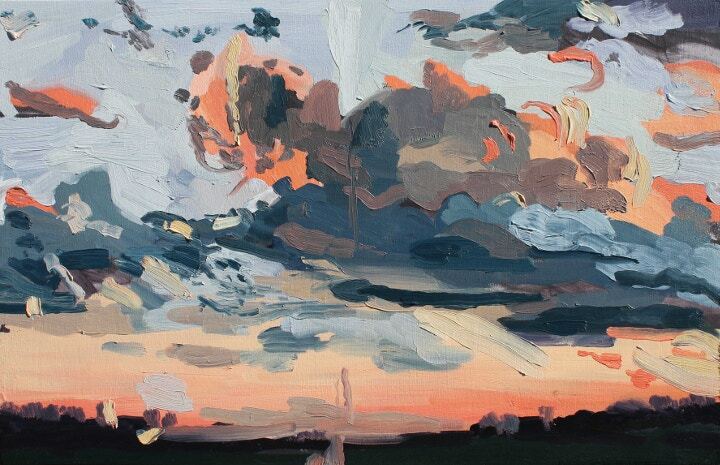 We caught up with her about her experience and take a look at her landscape paintings below. Congratulations on winning your heat, Emma! What was it like painting in front of the cameras? Thank you. This is one of the first awards I have applied for and to get into the competition was excellent but to have won my heat? I can't say how proud I feel. I was very surprised at how calm I felt in front of the cameras. I teach painting and am used to speaking and painting in front of a group of people, so I think I just pretended that's what I was doing. It helped that the crew, judges and presenters were so lovely. How long do you normally spend on a single painting? More then 4 hours! I normally spend about 8-10 hours at least on a painting depending on size. When I am painting a portrait that time can vary greatly depending on how many sittings I do and what the client wants. Are you used to painting outside? I usually paint in my studio from photographs. I almost always do a study outside from life of whatever I am painting. My studio is my garage and the door is always wide open, so in a way I feel like I'm always outside when I paint. Completing a painting outside at Trelissick Gardens was a new experience for me and since then I have done a lot more of it. I learned so much from the experience. Which materials do you prefer to use and why? I love to draw with charcoal and paint with inks, watercolour, gouache and oils. I use the water based materials when I am painting outside because they are more portable. When I was in France this summer I did a lot of paintings on the beach using a combination of watercolour and gouache. When I am in the studio I work mostly with oil paint on wood panel. I enjoy the layering and thick texture of the paint, I feel I can get more physically involved with the process when I use them and the result is a painting with more immediate marks, and hopefully a little piece of me. Finally, were you pleased with your final painting at Trelissick? I was very pleased with the painting I made at Trelissick Gardens. It felt finished. I am glad I only had 4 hours because otherwise I may have overdone it. I surprised myself with this painting and it has driven me to make a lot of new work. It was really interesting speaking to all who were involved in the show about my work but I found Tai's and Frank's comments to be particularly useful. They helped me to see my work in a new light. 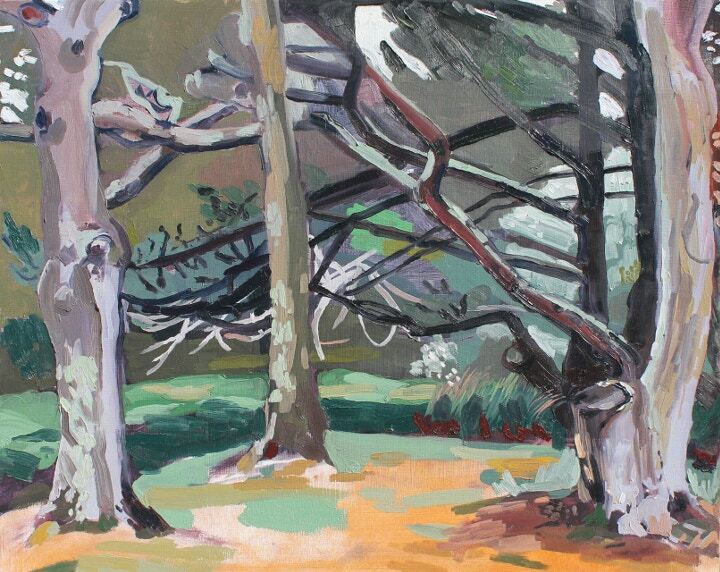 Explore more of Emma Copley's paintings on her website. Find out more about Sky Arts Landscape Artist of the Year here. Catch the programme on Sky Arts on Tuesdays at 8pm.